On Friday, March 1st, I made contact with Ed Milner who informed me that he was the designated point of contact for the Laboy family and all communications were going through him. Ed and I discussed the upcoming needs of the Laboy family. Ed advised me that immediate needs were being met and that Pete's progress would dictate future needs. Ed advised me that he would contact me on March 4th or 5th with an update. Out of respect for the laboy family, and the system in place described by Ed Milner, I have waited for updates from him. During this time, the PBA has been discussing fundraising and setting up accounts to give on-line and to text to give. VAPBA President Joe Woloszyn and Alexandria Chapter President Tom Ground have been gathering items for fund raising raffles and working on getting the tickets printed and advertisements completed. President Woloszyn has received a game used, signed Ovechkin puck from the Washington Capitals organization that will be used for the Laboy fundraiser. Today, we will start advertising the fund-raisers to our 31,000+ members in eleven southeastern states. The information will also go on all PBA and PBF Facebook and Twitter pages. We will also be sending out text updates to all of our text subscribers through the Police Benevolent Foundation. 100% of the collected funds will be given directly to the Laboy family. I have spoken to our Financial director about possible claims for the PBA insurance carrier in reference to Pete's condition. It is to early in Pete's recovery to determine possible claims, so we are on stand by at this time. The PBA will work closely with the Laboy family and will treat any information on this topic with privacy throughout the process out of respect for our member and his family. 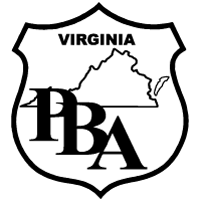 Click the link below to read about the latest PBA and PBF efforts to assist Pete and his family.